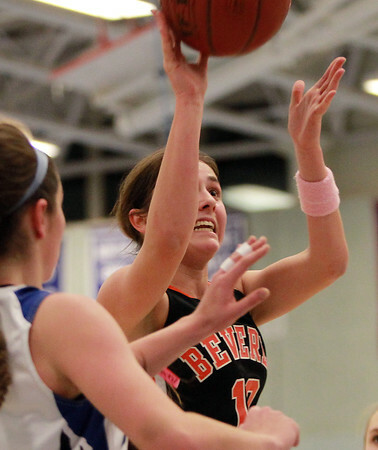 Beverly sophomore Natalie Mellinger (10) takes a jumper in the middle of a few Danvers defenders at Danvers High School on Tuesday evening. DAVID LE/Staff photo. 1/13/15.